Comfort food is one of the greatest types of foods. It’s warm, filling, and makes me happy. Some of my favorite comfort foods are chicken pot pie, meat loaf, and my Grandma’s Macaroni and Cheese. My Grandma’s recipe for macaroni and cheese is one of the most simple and straight forward recipes I own. It’s so easy that I have it memorized. Now as we all know there are millions of ways to make macaroni and cheese. You can make it as simple as this recipe, or more complex adding different cheeses, pancetta, truffles, and even lobster. 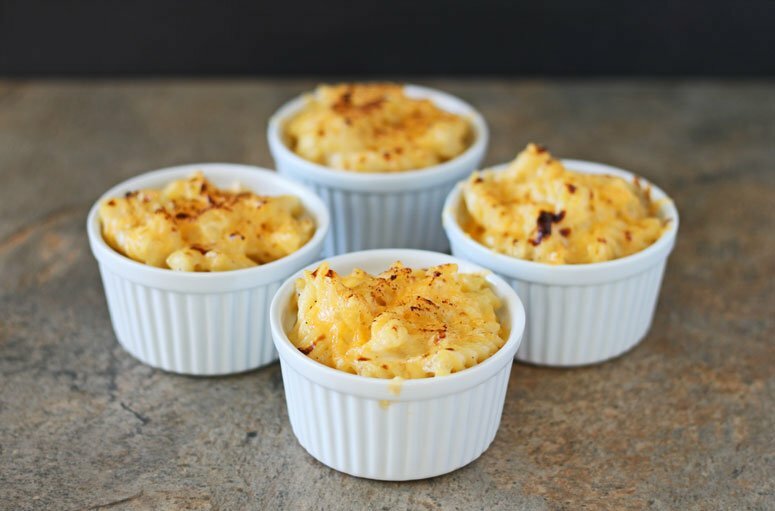 While all of those thing are wonderful, and really jazz up the simple version of macaroni and cheese, they also take away from the “comfort” part of the meal. 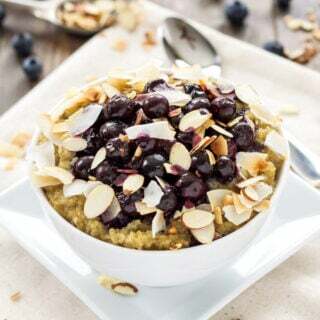 Instead of something simple and warm that brings back childhood memories, you have a more complex meal with many flavors. Not that there is anything wrong with that, it’s just not what I consider traditional comfort food. 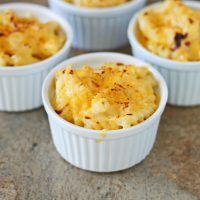 When I make this macaroni and cheese it reminds me of going to visit my grandparents and how my Grandma would always have her delicious homemade macaroni and cheese coming out of the oven when we would get to their house. Rather than doing stovetop macaroni and cheese she would bake it. 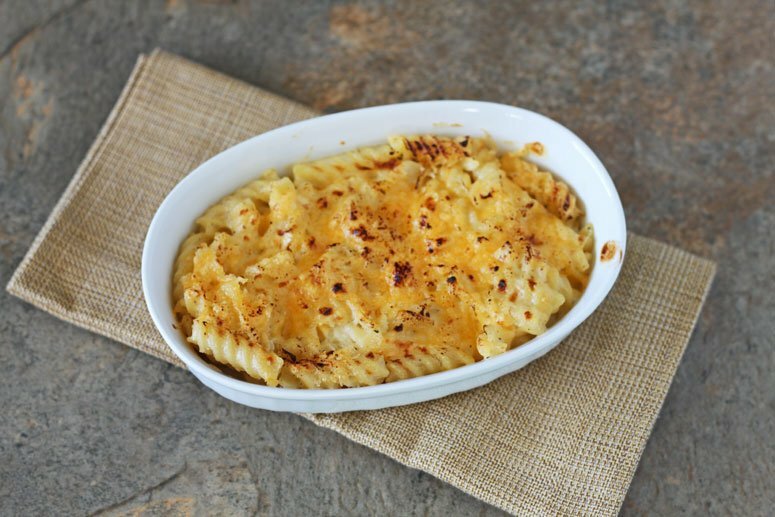 By baking this macaroni, the sauce thickens up and you get the most crispy golden crust on top. 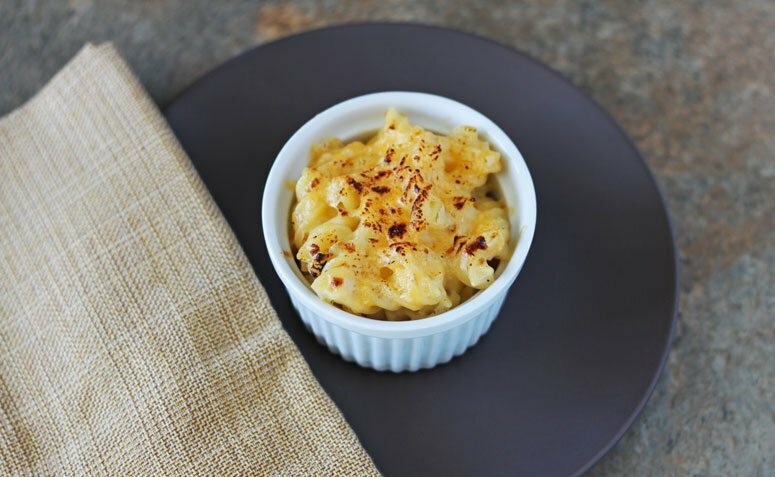 The other nice thing about her macaroni and cheese is that it is on the healthier side when it comes to this decadent dish. Her recipe uses skim milk which cuts out a large amount of fat, and about half the amount of cheese that most recipes call for. I use an extra sharp cheddar cheese when I make it so that I get that extra cheesy flavor, but don’t have to use as much of it. Of course, you can make this as rich and cheesy as you would like by using whole milk and more cheese. I however keep it lower fat so that I can have an extra helping and not feel guilty about it! In a large pot of boiling salted water, cook the 2 cups of pasta until al dente. Drain the pasta once it is cooked. In that same pot melt 1/4 cup of butter over medium high heat. Once the butter is melted add the flour and stir until all the flour is absorbed, approximately 2 minutes. Slowly pour in the milk stirring continuously so that you don't get any lumps. Continue stirring the white sauce until it thickens. Once it thickens add in 1 3/4 cups of the shredded cheddar cheese. Continue stirring the sauce until all the cheese is melted. Pour the pasta back into the pot and mix it into the sauce until all the noodles are coated. Pour the pasta mixture into a greased baking dish. Top the macaroni and cheese with the remaining 1/4 cup of cheese. Bake at 375 degrees for approximately 15 minutes or until bubbly. To get an extra crisp topping turn on the broiler for the last few minutes. If you don't have macaroni noodles, small shells or rigatoni also work great. Also, if you prefer a more decadent macaroni and cheese use a milk with a higher fat content. Thanks Kim, mac and cheese is the best! 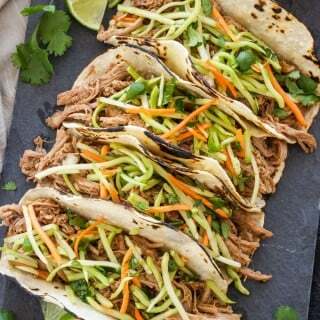 I checked out your recipe and you have my vote, looks delicious! 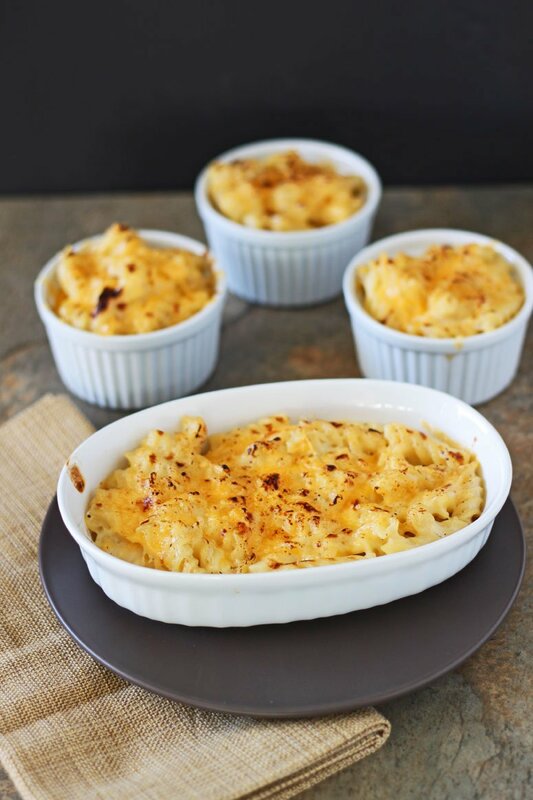 I am a mac and cheese lover so I'm happy to see this recipe and can't wait to give it a try soon! 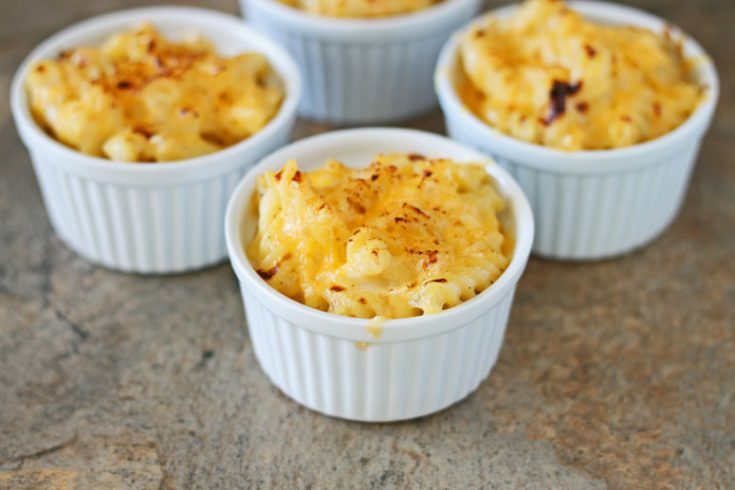 Mac and cheese lovers unite! 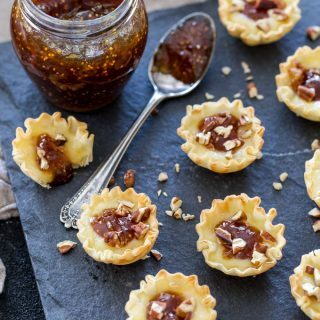 Hope you like this recipe! Oh wow Jamie! That's so interesting that our recipes are the same, I wonder where our families originally got the recipe from? I hope you like it with the cheddar, I know my husband would be a fan of the Kraft american cheese, might have to try it that way just for him!